As I mentioned in my Birchbox Unboxing for January 2017, a lot of beauty subscriptions jumped on board with the idea of New Year, New You. 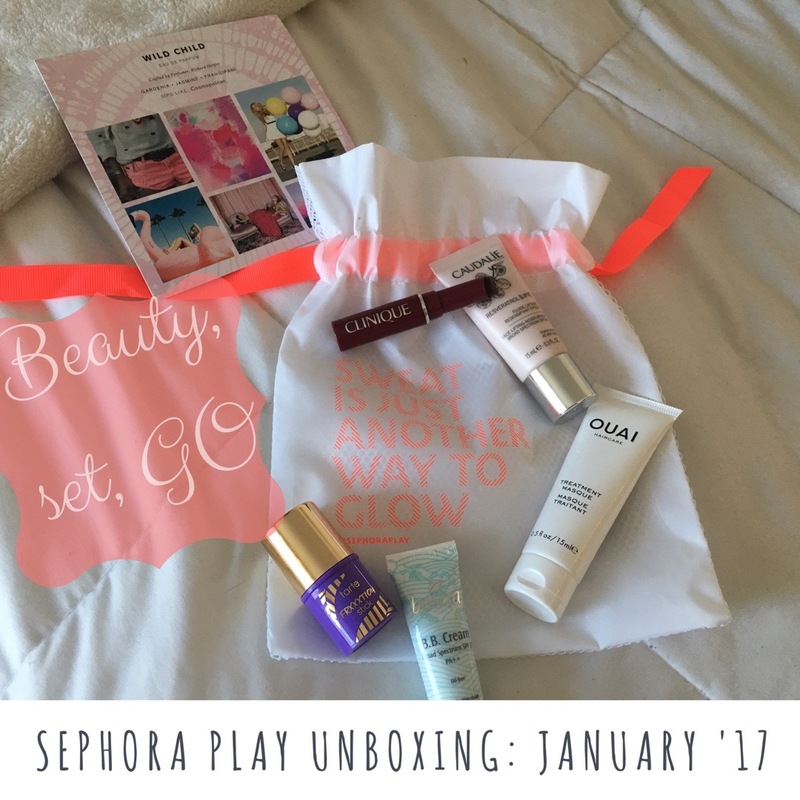 Sephora Play opted with the beauty-on-the-go this month, as most of their products were things that can be used on the fly. Even for me, someone who’s reignited their fitness journey, I love the convenience of all these products that I can toss in my bag and head out the door without worrying. 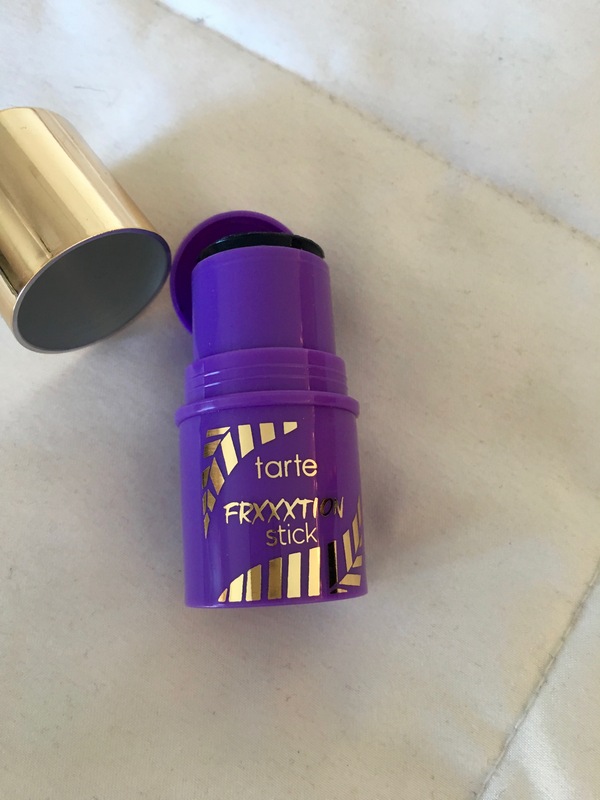 I never realized how wide of a skincare collection Tarte really has, and the Frxxxtion Stick is no exception. I was confused as to what the product actually was when I opened the bag, simply because it didn’t clearly say it anywhere on the package. Learning that it’s an exfoliating cleanser, it was something I was definitely excited to try since it’s an untraditional formula. What makes this product so cool is that it’s all convenient in stick form. Wet your face and run the stick over it in circular motions and that’s it. From there, massage it with your fingertips and you can feel the exfoliants get to work. Based off the Sephora website, it also says that it can be used as a mask, which I have yet to use it as. It didn’t dry my face out, though it recommends only using it two to three times a week. My face was pretty red once I washed it off, but that’s to be expected with an exfoliant and my skin did calm down after a while. Even for it being a deluxe sample size, it looks as if the sample will last me a while and it’s $22 price tag isn’t exactly breaking the bank when the time comes to restock. Moisturizers are something I’m always in search for. 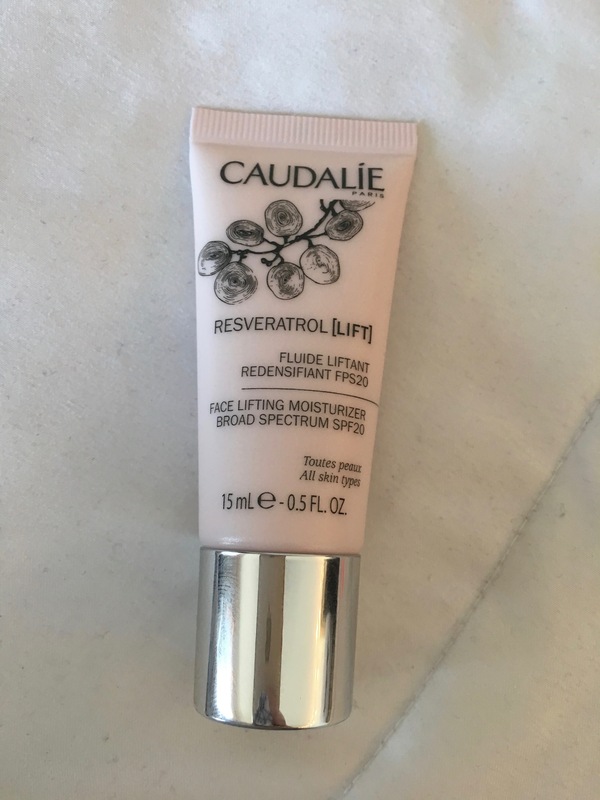 It’s like a tale of Goldie Locks when it comes to finding a good moisturizer: “This ones’s too oily, this one’s too drying”, but Caudalie’s line is something that has me saying ‘just right’! I’ve used their Vinosource moisturizing sorbet in the past and it made a world of difference to my skin. Since I’m only 23, I don’t think of using products that are firming or lift my skin, but no time like the present to start implementing it into my routine. What’s even nicer about this product is that it has multi-uses, perfect for on-the-go beauty. Use it as a sunscreen (It’s got SPF 20! ), as an anti-aging cream around your eyes or as a make-up primer. I have long, color-treated hair, which in a nutshell means my hair is totally fried and dried out. Every so often, I’ll throw some coconut oil in my hair and do a mask, but not as often as I should. I’m so in tune with my makeup that sometimes my hair gets overseen, just getting tossed into a top knot and forgotten about. Hair masks are always something I’m interested in, but scared to use because I don’t want my violet locks to fade away with excessive washing. 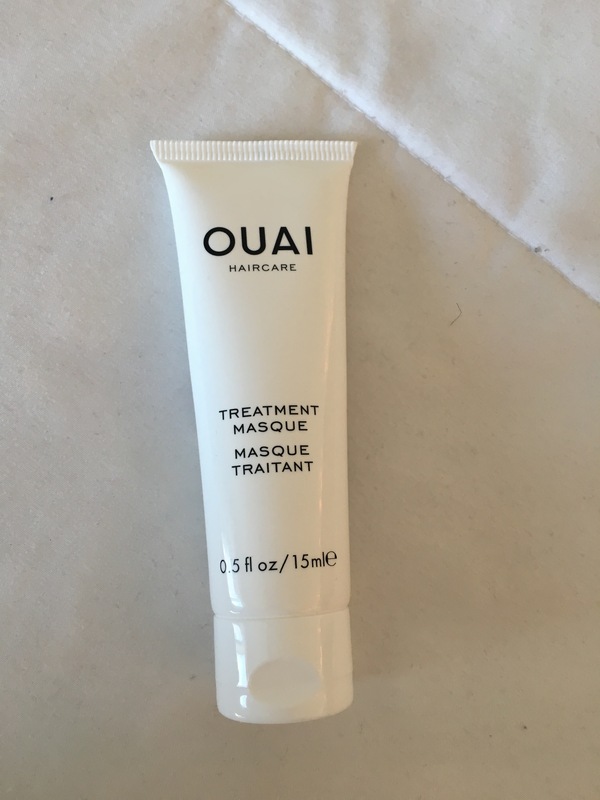 This one from OUAI seemed ideal, with what seemed to be a decent sized sample, but I was really bummed when it took the entire bottle for one mask. The product itself was incredibly runny out of the bottle, but hardened quick when trying to disperse it through my hair. If I had a bigger sample, I might have been able to really work it in, but it was just too much hassle, which is why I ticked a point off in my rating. As for the results, I loved them. I towel-dried my hair and threw it in a sloppy braid and slept in it. When I took my hair down in the morning, my waves weren’t awfully frizzy like they usually are and there was noticeable shine to my hair. My locks felt soft and I wished I loved the results enough to justify spending on a product that was a mess to apply. I would have loved to see how smooth my hair would have been if I actually styled it using heat tools. B.B. creams correspond with summer weather for me, because I don’t like being weighed down with heavy, full-coverage foundations. Receiving this in my Play Box was a little puzzling, but was down to try a new sample of a line I have heard a lot about recently. Boscia is a Japanese company that utilizes botanicals and a little science (hence how it gets its name! ), which means it’s all natural and preservative-free. I’m not usually beauty conscious about the products I buy, but I do like having that peace of mind. Off the bat, I noticed that the color is drastically dark for my skin. I’m really pale and usually have a hard time color-matching. But what makes this B.B. cream really interesting is that it claims to self-adjust to match your skin tone. 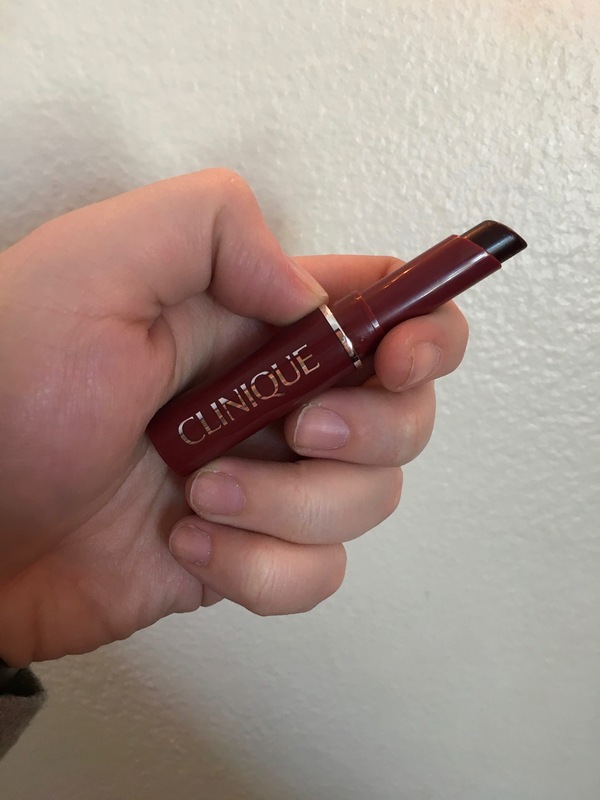 While doing my research for the blog, I discovered that the Clinique Almost Lipstick has been a staple in everyone’s collection for decades, but I’m just now discovering it! Clinique is one of those brands that’s been around for forever, but I’m just now recently jumping on board with, similar to Tarte. The Sephora pamphlet even said that a Black Honey lipstick is sold every three minutes in the U.S! 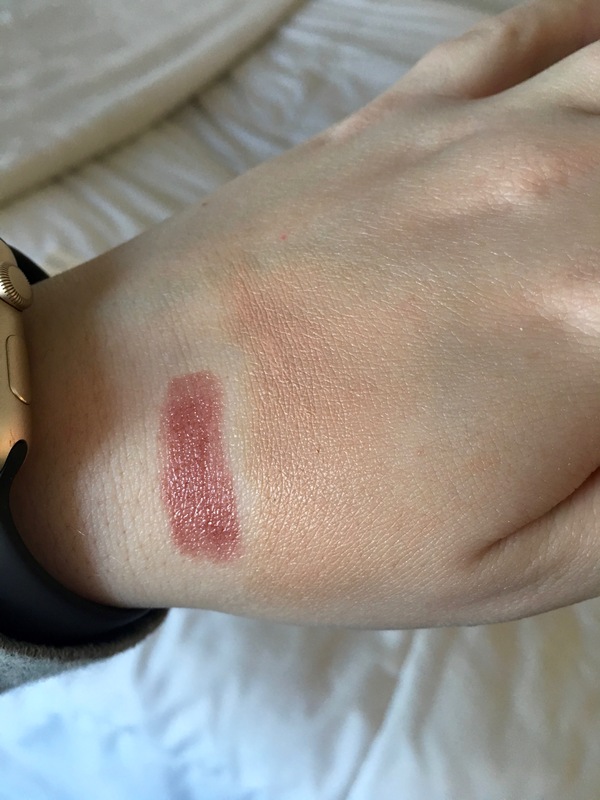 When I opened the lipstick and saw how dark it was, I was elated! I love dark, vampy lips and was wicked excited to try it out. 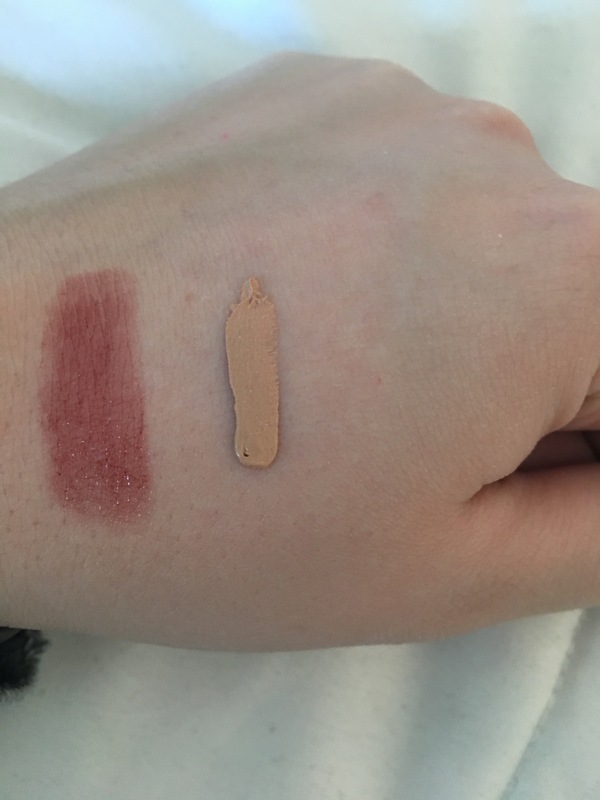 However, when I swatched it, it was so sheer and light, which was a major buzzkill from what I was expecting. However, I’ve worn this lip product a few times since receiving it with a bare face, and it does compliment my skin tone nicely. It’s nice for a grab-and-go lipstick and doesn’t take a lot of hassle to put on. One swipe and I’m out the door. The wearability isn’t ideal, but take it as you will. The thing that makes Sephora Play different from the rest of my beauty subscriptions is the guaranteed perfume sample each month. 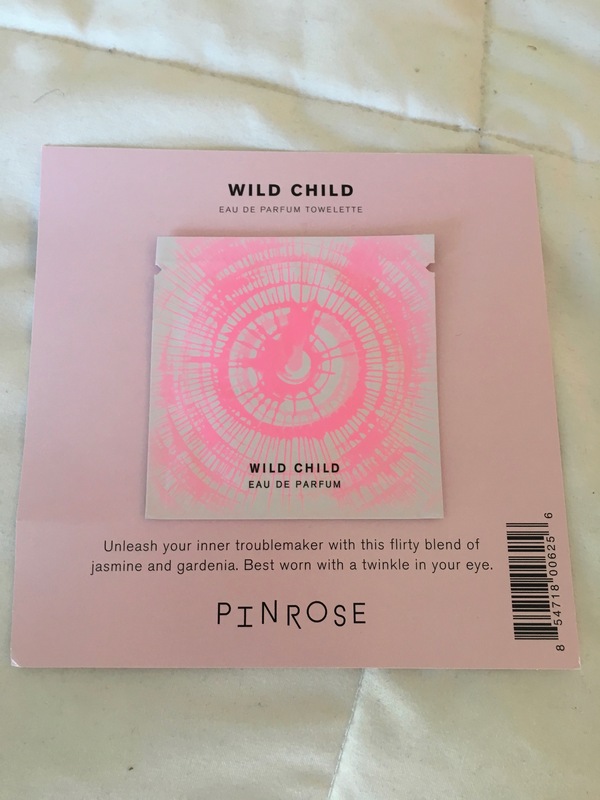 When I pulled out Wild Child by PINROSE, I was confused, because it’s not a traditional sample! PINROSE’s sample is a one-time application that features a petal loaded with the fragrance. I thought it was interesting, but highly impractical because I couldn’t really test out the product once. If I’m going to sample a perfume, I like to try it more than once to really make sure I like it! It features more floral notes than anything else, which I’m not a huge fan of off the bat. However, gardenias are my favorite flowers and this is the top note you smell. Perfumes are usually something that’s suppose to be long lasting, but I couldn’t smell it after 15 minutes of wearing it. Whether that was because of the application or not, I’m not sure. 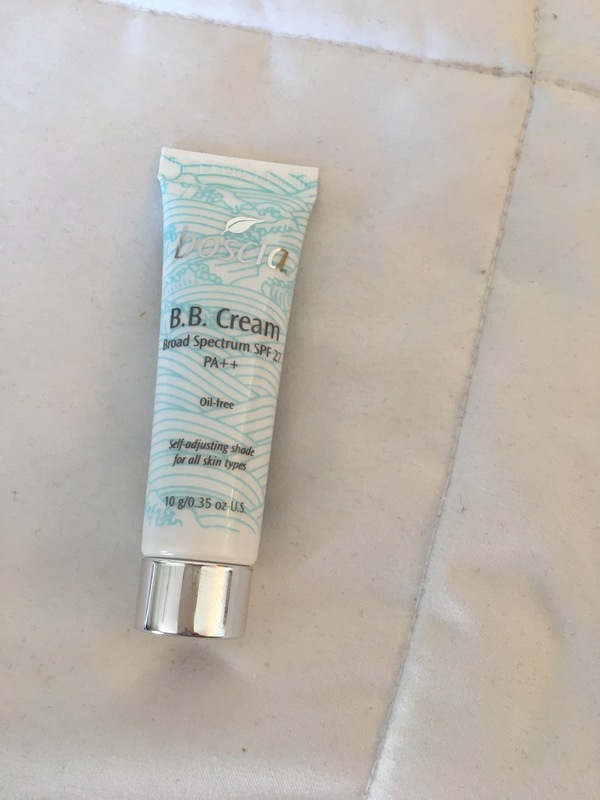 This entry was posted in beauty subscriptions, makeup and tagged 2017, almost lipstick, bb cream, black honey, boscia, caudalie, cleanser, clinique, exfoliate, hair care, hair products, january, makeup, moisturizer, OUAI, perfume, PINROSE, play box, Sephora, tarte, treatment masque, wild child. Bookmark the permalink.